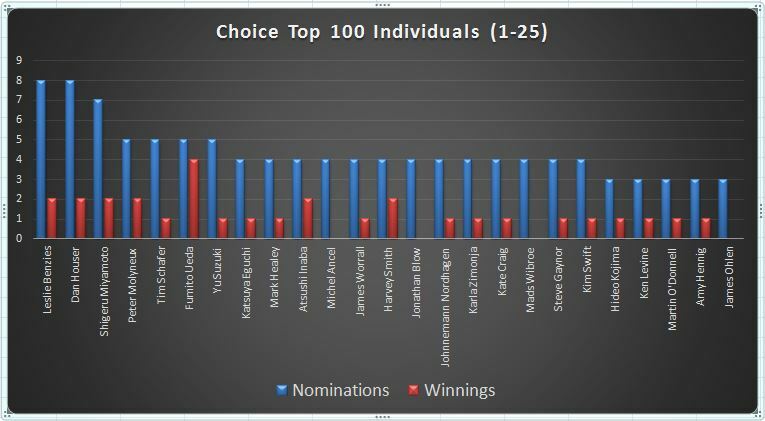 Leslie Benzies and Dan Houser lead Shigeru Miyamoto in cumulative totals by just one nomination. Valve has won the most awards. 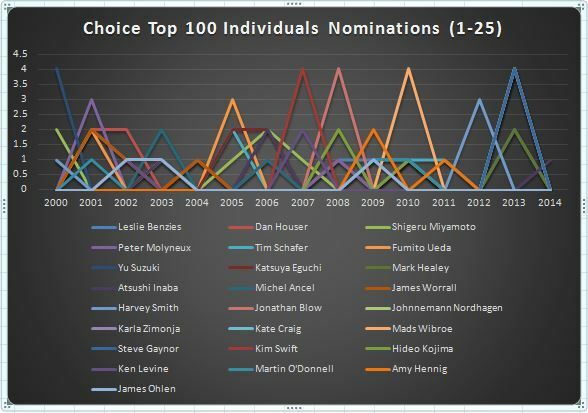 Fumito Ueda has a record four wins for a single person. Stay tuned for interactive versions of these charts and graphs! 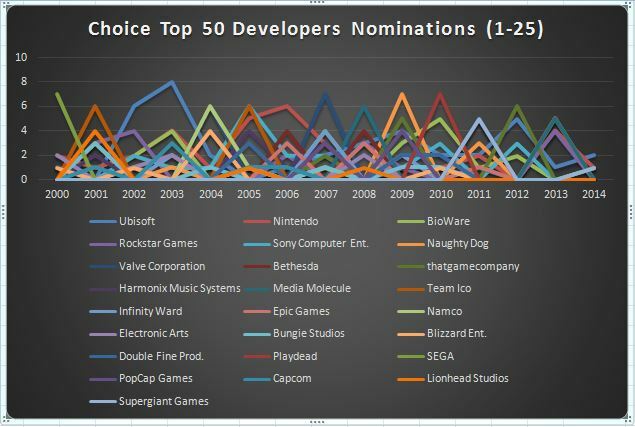 This entry was posted in GDC Choice Awards and tagged choice, GDC, graph, graphs, moscone. Bookmark the permalink.